The satellite images are very efficient for agriculture as farmers can evaluate crop health and decide on further activities. It is because satellite image is a set of pictures taken in different spectrum and resolution that could detect crop vegetation in one spectre, water or fire in another. How can you use the data of our API in practice? Let’s see some examples through our visual tool! 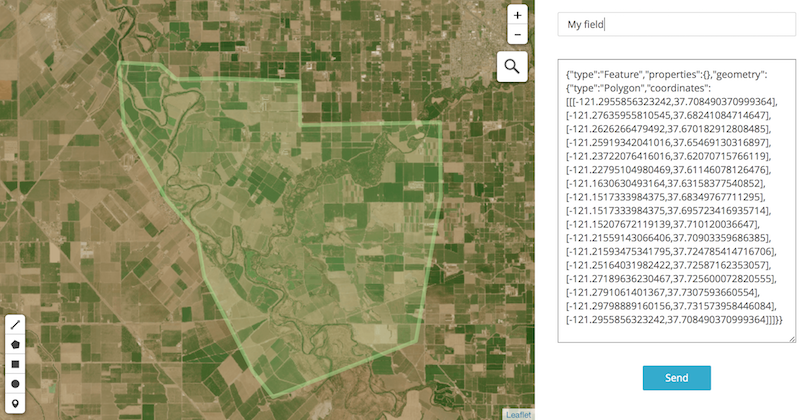 Through our simple and fast API, you can easily get multi-spectrum images of the crop for the most recent day or for a day in the past; we have the most useful images for agriculture such as NDVI, EVI, True Color and False Color. 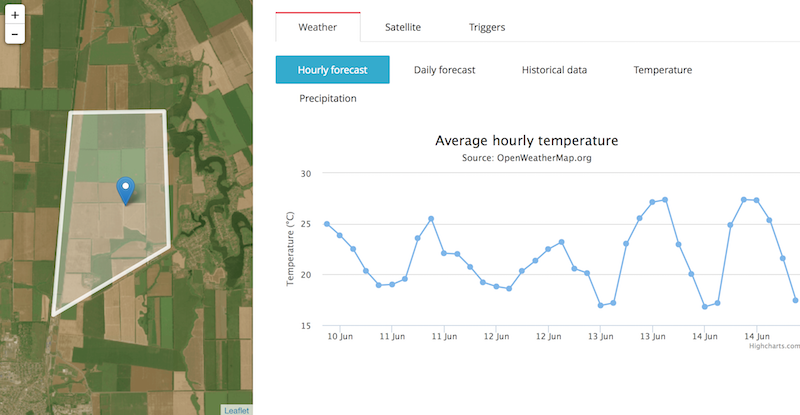 Using the same API, you can also get weather data for the crop such as current weather, and forecast. 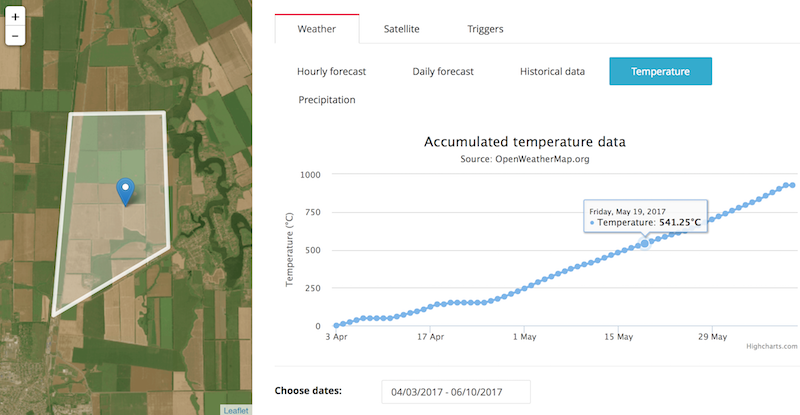 We also have specific data as accumulated temperature and precipitations, and soil temperature and moisture. We also have a simple visual tool for viewing satellite and weather data. Draw a polygon and see immediately the available data on it. 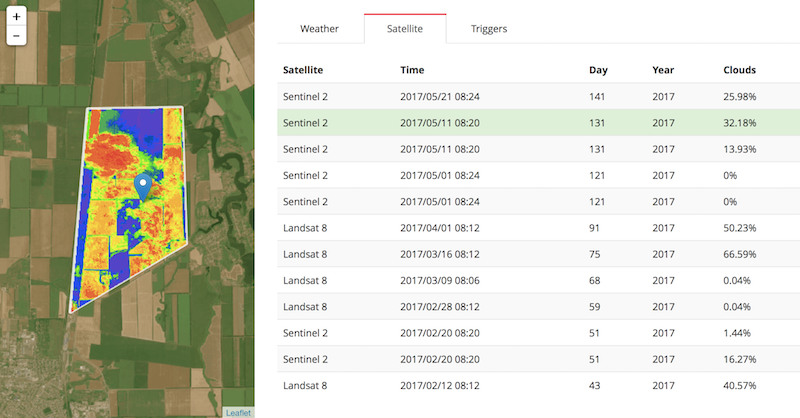 We made it based on Landsat-8 and Sentinel-2 images that could solve most of the farming tasks. Data sets include air temperature, humidity, wind speed and other significant weather parameters. Accumulated temperature and precipitation is essential to make a right decision depends on a threshold setting. Temperature quantity index calculated as the sum of daily temperatures. Humidity quantity index expressed as the sum of daily precipitation. Soil temperature and moisture are essential indices that allow your customer to adjust irrigation work and prevent crop roots damage.